through carefully crafted ‘Multiple Choice Questions’. 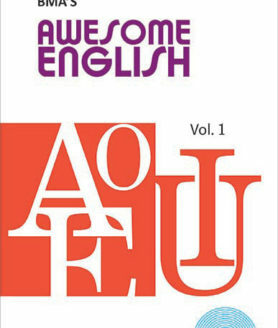 to reaffirm students’ knowledge of English. The entire syllabus for this class is covered in this single edition. Useful gist before attempting practice exercises. Crossword Puzzles for testing student’s ability. Maze/Word Search/Dialogues for joyful breaks. Model paper provided for a mock test. Key to all practice exercises and model paper. Truly Awesome . . .
An all-time guidance for beginners and trotters. Concise Charts — a concise overview of key factors of grammar, with mnemonic supplements. Spellings & Vocabulary — Joyful, exciting exercises in colour, covering a wide spectrum of words and their forms, for enriching your vocabulary. Everyday Errors — Everyday common usage of incorrect grammar, corrected citing explanations with intrinsic grammatical details, supported by coloured illustrations. 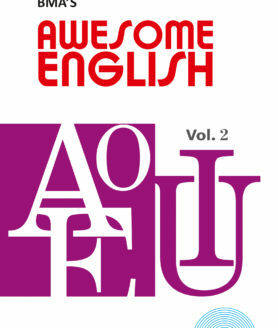 An enchanting well-illustrated tour, discovering alluring spots of grammar with examples. Throw away your fear of speaking English correctly and wipe off the mist of confusion & misconceptions in daily usage of communicative English, once and for all. 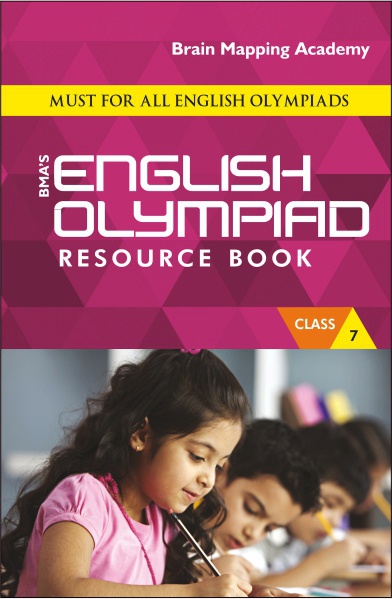 This series of ‘English Olympiad Resource Books’ aims at giving students, ample intensive practice they need to prepare for any English Olympiad, through carefully crafted ‘Multiple Choice Questions’. It trains them to tackle different types of questions confidently and prepares them adequately for any International/National/Regional English Olympiad. Creative, joyful, challenging and testing exercises are provided to reaffirm students’ knowledge of English. 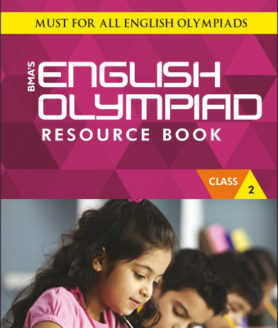 The entire syllabus for this class is covered in this single edition. Click Here to view the sample pages.